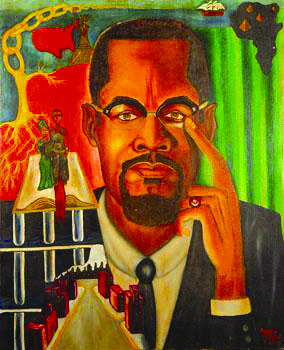 As we pause to remember the man named variously Malcolm Little, Red, Satan, Malcolm X, Malik El Hajj El Shabazz, Omowali, let us not do so in a passive, detached manner. Let us take time to really remember him for what he stood for and the courage he displayed on our behalf. Let us appreciate his intellectual courage and how he used his mind, his words and lifestyle to model what it means to a conscious self-actualized African. In many ways Malcolm X was ahead of his time. While he acknowledged his debt to the Honorable Elijah Muhammad for helping him redeem his life, his natural intellectual inquisitiveness made him move beyond the confines of the Nation of Islam’s dogma. For example, he was so incensed by the police murders of the mosque members in LA he called for retribution. While Mr. Muhammad’s stance was that God would deal with the dastardly devils who killed the men of the LA Temple, Malcolm spoke openly of “git back.” Malcolm not only spoke of Blackness as the NOI taught, he spoke about Africa. Malcolm took pride in Africa at a time when most of us were so ashamed about being African, if anyone called you an African you were ready to fight. When President John F. Kennedy was murdered in Dallas, Texas, Malcolm made it a point to raise the issue of “the chickens have come home to roost,” meaning U.S. thuggery around the world had emboldened the criminal elites to do the same things here. Elijah Muhammad had instructed his ministers not to say anything inflammatory about Kennedy or his assassination; so when Malcolm said what he said and the U.S. media made a big issue of it, Mr. Muhammad had to discipline Malcolm. 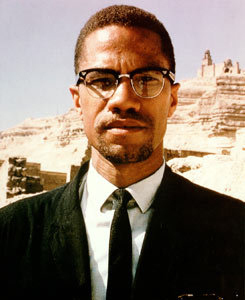 Despite his disobedience to Mr. Muhammad’s order, Malcolm’s comments revealed a deep understanding and grasp of the geo-political realities of the day and a candor that is sorely lacking in today’s so-called leaders. Unfortunately Malcolm’s suspension provided the opportunity for the U.S. government to exploit the rift between him and the NOI to make their goal of “neutralizing” him that much easier. J. Edgar Hoover had put COINTELPRO in effect because they definitely didn’t want Malcolm X, El Hajj Malik El Shabazz, Omowali to be the messianic Black leader they dreaded so much. As we celebrate his natal day, let us not reduce it to merely remembering a date and his name. Let us examine his life and take from it the valuable lessons needed, personally and collectively, to redeem ourselves, to fortify our struggle for freedom, human dignity and self-actualization. We cannot allow the fact he was murdered – assassinated – to dissuade us from pursuing our own emancipation from the bonds of Western psychopathy, degeneracy and decadence. Death is not defeat, nor is it a disgrace. James Brown sang, “I’d rather die on my feet than live on my knees.” Death is inevitable to humans. To die fighting for freedom, dignity and justice is noble, while living in a subservient oppressive condition is demeaning. That is one of the lessons Malcolm and so many other taught us. Let’s learn and apply the lesson wisely. Junious Ricardo Stanton is a freelance writer and internet radio host on www.harambeeradio.com and can be reached at jrswriter@comcast.net. To read his commentaries regularly, subscribe to the Sons of Afrika listserve at http://groups.yahoo.com/group/SOA/.